Home / Art / cars / Ghostbusters / Lego / LEGO Ideas / Magnum P.I. 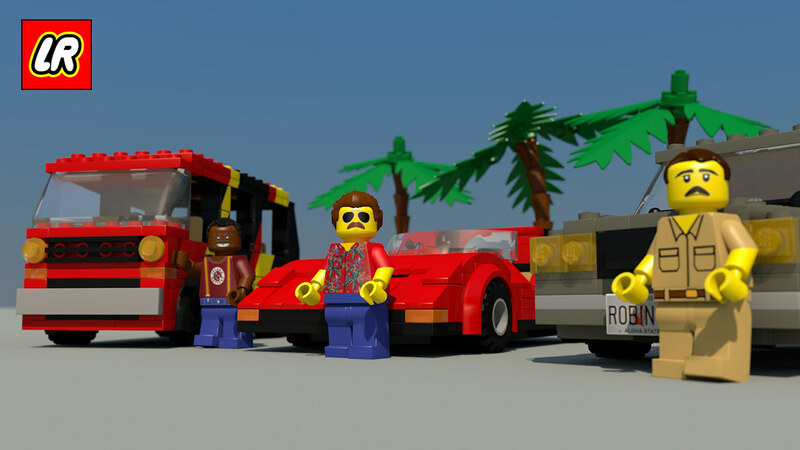 / vehicles / LEGO Magnum P.I. Deserves Your Support! 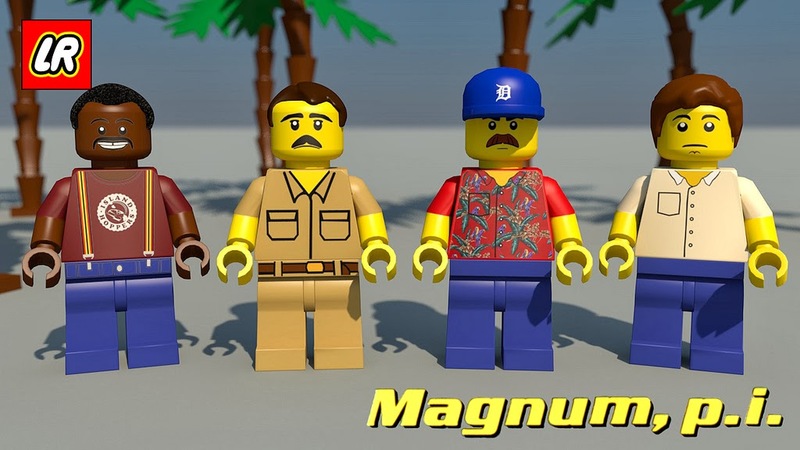 LEGO Magnum P.I. Deserves Your Support! As I was scouring Flickr for movie scenes, I found a another set that deserves your support. Magnum P.I. was a staple show of the '80s. It ran for 8 seasons from 1980-88 and produced 162 episodes. The detective series combined colorful characters with awesome vehicles and a paradise backdrop that made it an instant classic. I love the Magnum P.I. vehicles. Obviously the Ferrari 308 GTS was the main vehicle on the show but T.C. 's Island Hoppers van, Higgins' Audi, and even Rick's various cars complemented each character. From the first scene of the intro, T.C. 's Island Hoppers helicopter was almost vehicle 1-A right behind the Ferrari. The details from the color down to Magnum's Detroit Tigers hat is tremendous in this creation. The dobermans! Those would have to be accessories to the set! The caption made me laugh, knowing Higgins favorite catchphrase. 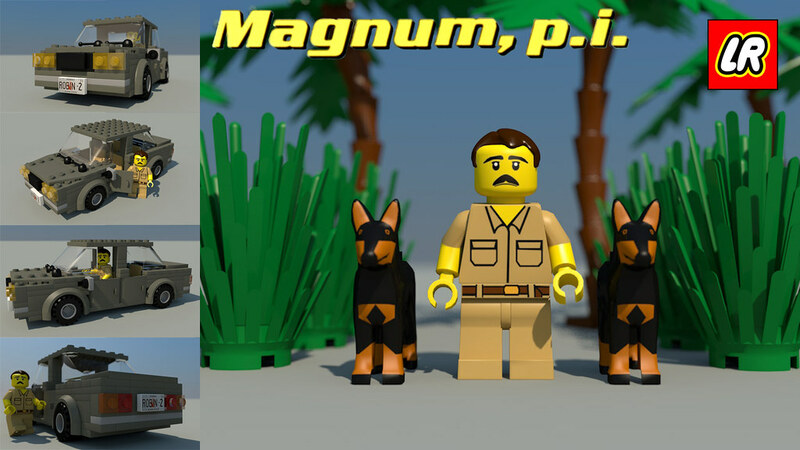 This set should be in the 1,000 by now so please support and share with other Magnum P.I. fans. Visit the official support page on LEGO Ideas to back the project. It's a free and easy process your vote and leave feedback. Also visit Legorevival's Flick page to see more from this incredible set. 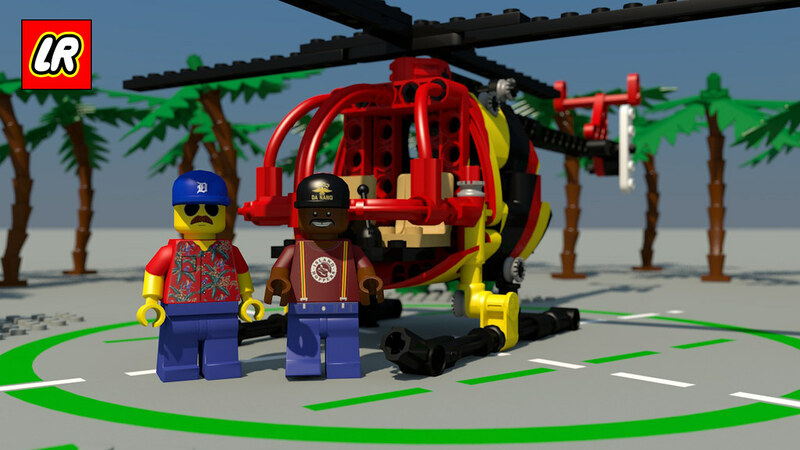 Check out this awesome intro recreation using the LEGO creations from this set!!! Hey Jason! I just stumbled upon your post! Thank you for sharing this project with your fans! I really appreciate what you write about it and it is very good to know there are people who want to see it as a real LEGO set. There have been some changes on CUUSOO it changed into LEGO Ideas and the rules have slightly changed but still all it needs is support! I don't know if you've seen the video about the project it's on my youtube channel I recommend it to all fans you can find it here: http://youtu.be/sGh_7mXGTzE Once again, thank you for your nice post! If the project gets a bit more popular I might make some additions or extra material on the subject! Hell I might do it anyway! Thanks so much for stopping by! AWESOME VIDEO! Will definitely share. I also update the post with current links to LEGO Ideas. Good luck!